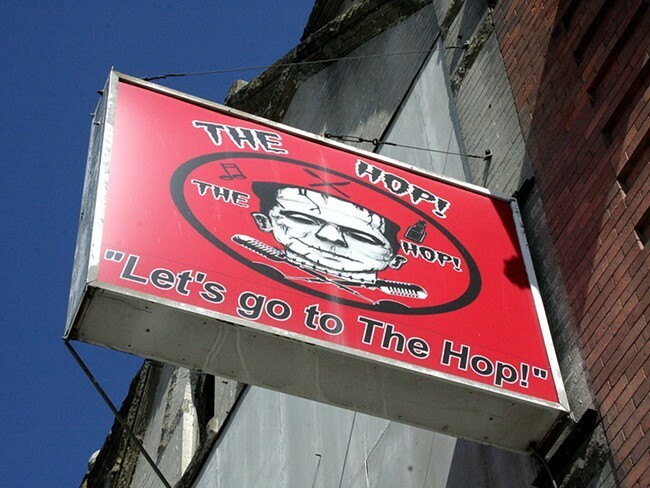 Nearly four years after opening at its Monroe Street location, the Hop! is closing at the end of this month. The good news for all local music fans however, is the business will move downtown to the old A-Club/Club 412 location on Sprague. The new all-ages music club will be renamed Pinnacle Northwest, or the Pin, for short. The Hop! owner T.C. Chavez, who previously owned the Cretin Hop, says he’s not sad to see the place go. “I’m looking forward to some new ground but it’s going to be challenging, I’m not getting any younger,” he says. The Hop! had a scare in 2013 when one person was shot and killed in the parking lot of the venue. But the business managed to stay afloat and that’s not the reason Chavez is moving. The owner of the building has plans to sell and when Chavez heard the lease was up on the Sprague location, he jumped at the chance, he says. “After our final show January 31, we’re tearing down the stage and everything,” Chavez says. The new location, which currently sits at a larger 299-person capacity, will feature all of the same sorts of shows you've come to know and love from the Hop! including hip-hop and metal shows, but offer even more types of concerts appealing to all ages. Chavez also has plans to serve food and open for more hours. At this time, the Pin is tentatively set to have host its first concert Thursday, February 5, “as long as all of the paperwork goes through and everything works smoothly,” Chavez says. Chavez is confident he has what it takes to run a concert business in a spot where others have failed.